A simple look hide a wealth of functions in the Venstar T3700 Explorer Residential Digital Thermostat 2H/1C with WiFi or ZWave Capability. Set the unit for seven day programming, single day, or five-and-two day programming. A two-color design lets you know what function is currently provided. A variety of lighting, language, and temperature options allow you to customize the unit to your preferences. A keypad lock makes sure only authorized users can make changes to the program while a memory retention feature makes sure settings aren't lost in cases of power failure. Whatever your home set-up, there's sure to be a place for this handy thermostat unit. When it comes to picking wireless devices for the smart home, your selection is typically determined by the technology used—and your budget. 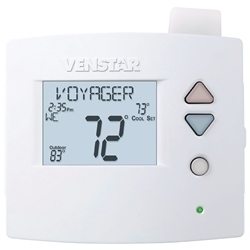 Not the case with the Venstar T3700 Explorer Residential Digital Thermostat 2H/1C with WiFi/ZWave Capability, you can actually choose how you want to connect: WiFi or Z-Wave. 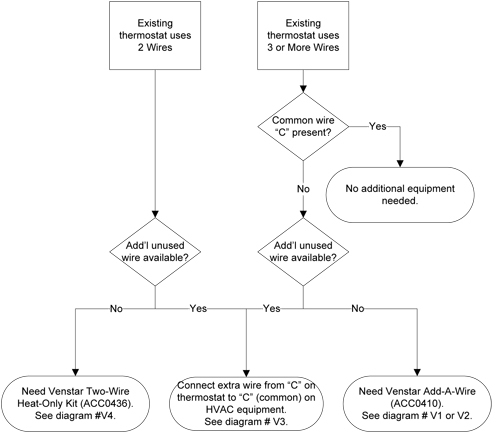 Just add one of Venstar’s optional wireless modules. Once connected, you can tap into each thermostat from in and outside of the house, in order to cut energy costs or just to make the house how you like it.